The first Canadian Reformed Church instituted in Canada was in Coaldale, Alberta on April 12, 1950. We are part of the Canadian and American Reformed Church Federation, which includes approximately 50 churches across North America. We also have fellowship with a number of other Reformed Churches around the world. 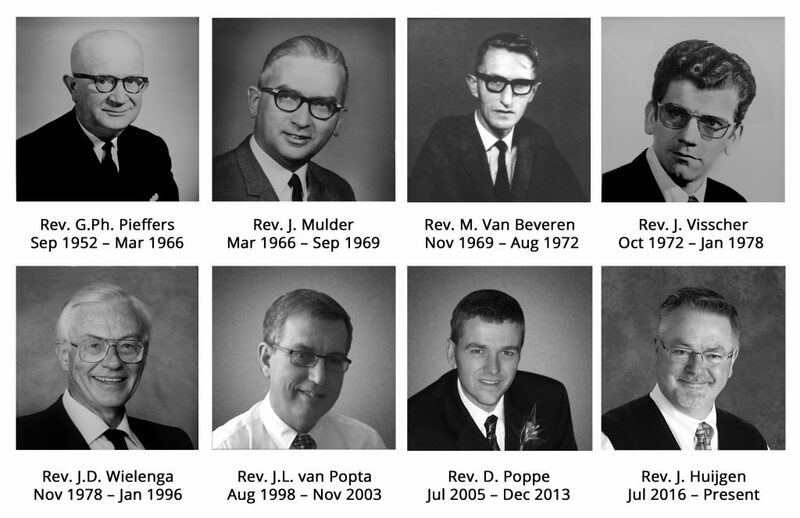 Coaldale’s history of pastors include the following. Our church federation originated in the Netherlands in 1944. Our roots lie in the great Reformation of the 1500’s when God called his church to return to the fundamentals of the Christian faith. God led men like Martin Luther, John Calvin, Ulrich Zwingli, and John Knox to reaffirm the truths of the Bible. As congregation, we profess these truths and believe it is our duty to proclaim the Gospel of Jesus Christ and live in thankfulness to God. If you are interested in a more detailed account of church history , please click here.